In 1701, The London Spy referred to coffee as “bitter Mohammedan gruel,” but its allure was by then undeniable—the transition from drinking ale in the morning to drinking coffee was already paving the way for the Industrial Revolution. Before I started Blue Bottle, I used to go out for coffee a lot. I loved the inclusiveness of the cafes I went to—people of all economic strata gathered together, united over a coffee. Some staying hours, some only minutes. I loved listening to people talk and occasionally being drawn into the conversations. For an introverted classical musician like me, cafes and the diversity and freedom they represented were liberating. One of my deepest pleasures since the day I started at the farmers’ market has been chatting with our regulars, talking about coffee because the love of coffee is what brings us together, but also talking about so much more: the weather, food, art, and, yes, politics. I noticed that the more people talked to each other, the more common ground they tended to find. Delightful things happen when we talk over a delicious coffee—it connects us to the glorious 400-year-old non-denominational history of that first cafe in London. 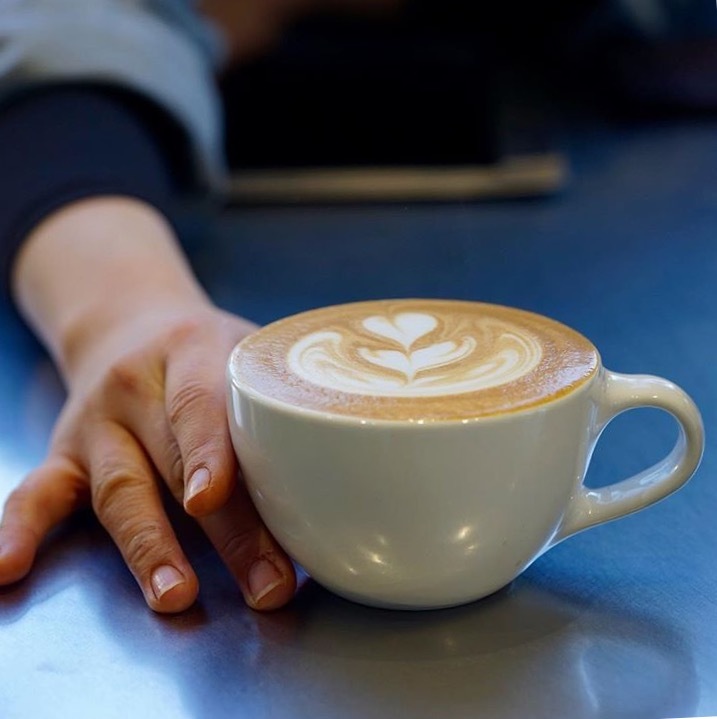 Over the last fourteen-and-a-half years at Blue Bottle, I’ve labored to create an environment where everyone feels welcome and we welcome everyone—an environment where no particular political, racial, or cultural affiliation is expected or required. I want to have a place where your mother-in-law from Indiana feels just as welcome as your nephew from Berkeley, so we’ve stayed away from political advocacy in our shops. Obviously, I have certain deeply held political beliefs, as do our staff, but I never want to force a belief down someone’s throat. I’m sure no one reading this is surprised when I say that, in my own life, I am a latte-sipping-Volvo-driving-Hillary-voting-NPR-listening-blue-state-San Francisco stereotype. However, I neither expect or assume that our guests or our staff are, too. You may chuckle that, given the deepest blue cities in the United States where we are selling coffee, I am talking about our clientele and staff having a diversity of political beliefs, but the redness or blueness of our identity are transitory things. If I were voting in 1964, I’d basically be a Rockefeller Republican—in favor of individual liberties, strong labor unions, state investment in infrastructure and education, and the elevating power of the arts. Even Richard Nixon today would be an unelectable tax-and-spend liberal. He established the Environmental Protection Agency, signed the Clean Air and Water Act, and endorsed the Equal Rights Amendment. Politics may be a pendulum, but there are certain lines that I as a private person and all of us at Blue Bottle do not feel comfortable crossing. We do not see this only as an issue of hospitality, but as an issue of right and wrong. We believe the current administration’s exclusion of refugees from Muslim-majority countries is morally wrong and contrary to the First Amendment of the Constitution of the United States. We plan to support any of our staff, vendors, coffee growing partners, and guests who may be affected by this administration’s executive order in any way we can. We will continue to stand up against other actions that may unfold in the coming weeks that we believe are morally wrong and violate the constitution. Our CEO, Bryan Meehan, and I have both made individual contributions to the ACLU, and Blue Bottle Coffee’s thirty-one cafes will be participating in a fundraiser with Sprudge to raise even more support for this group. On Saturday, February 4, we will donate $1 for every person who buys a coffee in any of our U.S. and Tokyo shops to the ACLU. In case you think that the ACLU is merely a lapdog doing the bidding of the liberal coastal elite, please keep in mind that the ACLU has represented Nazis and the National Rifle Association. It stands on principle to protect the United States Constitution and all of us at Blue Bottle respect that deeply. This “bitter Mohammedan gruel” which found its first commercial expression in what is now known as Yemen (one of the seven banned majority-Muslim countries) has given us so much. It has fed and clothed my children, motivated generations of people to show up to work on time, and supported millions of people across the globe. Tomorrow, 83% of adults living in the United States will start their day with a cup of coffee. I am going to make an effort to talk to someone I don’t know at a cafe tomorrow—not just about politics, but maybe about the weather, or maybe about that song from La La Land that is stuck in my head, or maybe about parking, traffic, food, or the arts. I urge anyone reading this to go to a cafe and do the same.